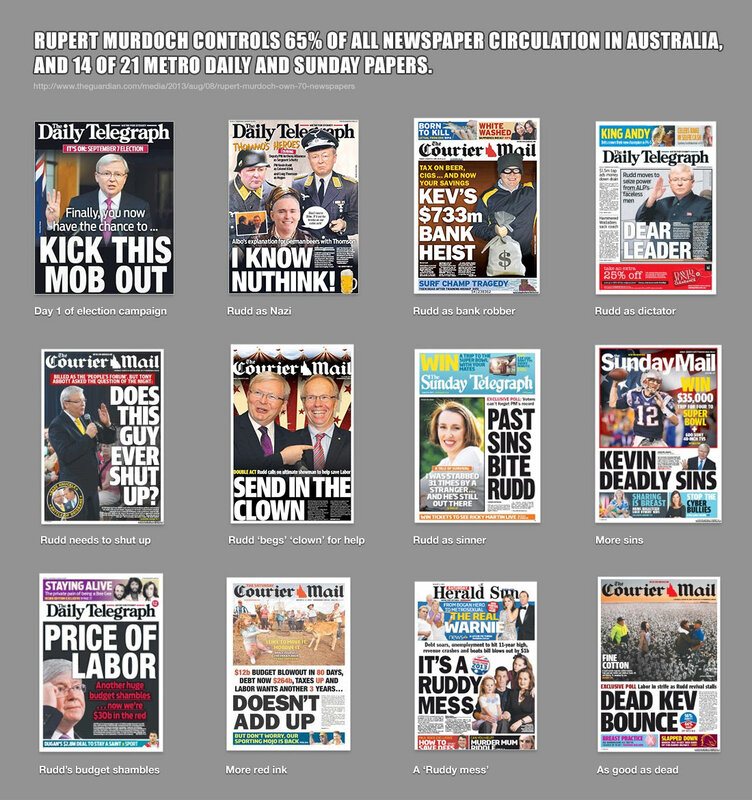 This is what happens when one person holds a monopolistic grip over a large proportion of the media. And this is exactly why I love data visualisation. Theoretic problems are so much easier to ignore until they can be laid out simply enough for anyone to understand. HINT: Showing this to someone who reads one of these papers without questioning where the content comes from would be a good start!